During a recent visit to my hometown, I discovered that most of my family have a new found passion for making mandalas. My family is always looking for new adventures for mind, body and spirit. Thus, it doesn’t come as a surprise that the world of mandalas landed on their doorstep, or should I say, that they found themselves knocking on mandala’s door. This week, from March 19-24 we will explore the world of mandalas and other Mandala-inspired works of art. 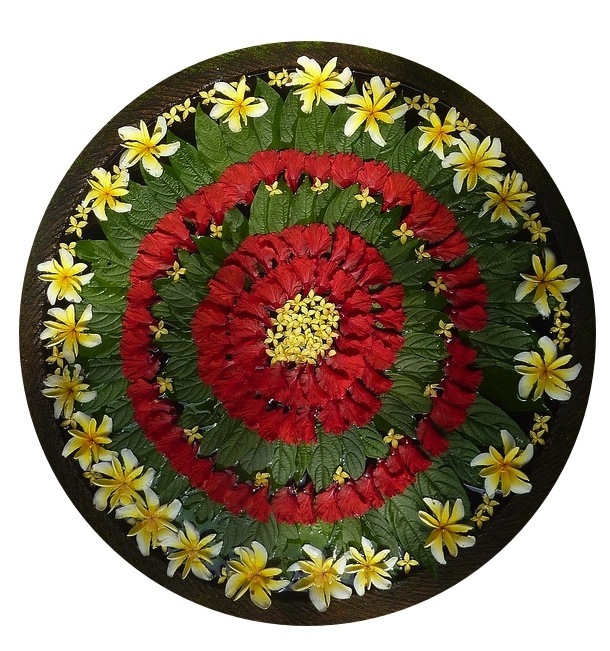 As I was looking at my family’s completed mandalas, I remembered the floating floral arrangements of Ubud, Bali and realized that they were indeed mandalas. Below are photos taken by my sister while we were on holiday in Bali last year. Believe it or not something this spectacular is a common sight in Ubud. 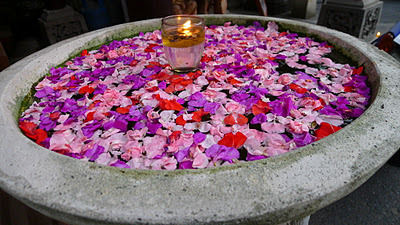 This is part of the daily ritual offerings made by the Balinese people, particularly the women. 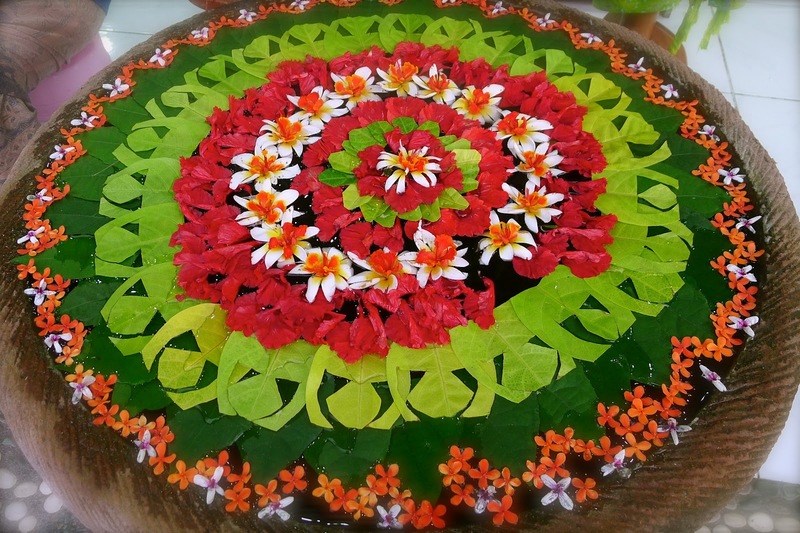 *Scout your yard or garden for other elements you can add to your floating mandala. If it floats, feel free to use it. 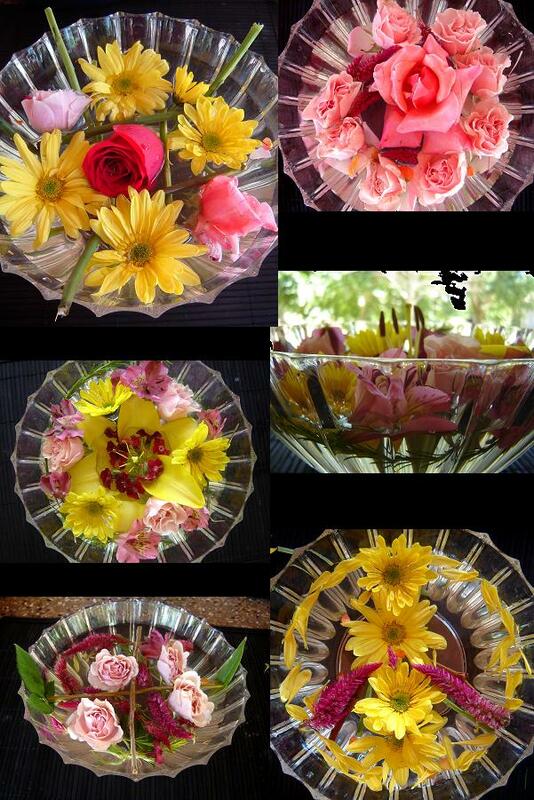 Fill glass bowl with water. Arrange the plant elements that you have gathered from your garden into various patterns and designs. If possible, have a central/focal point. 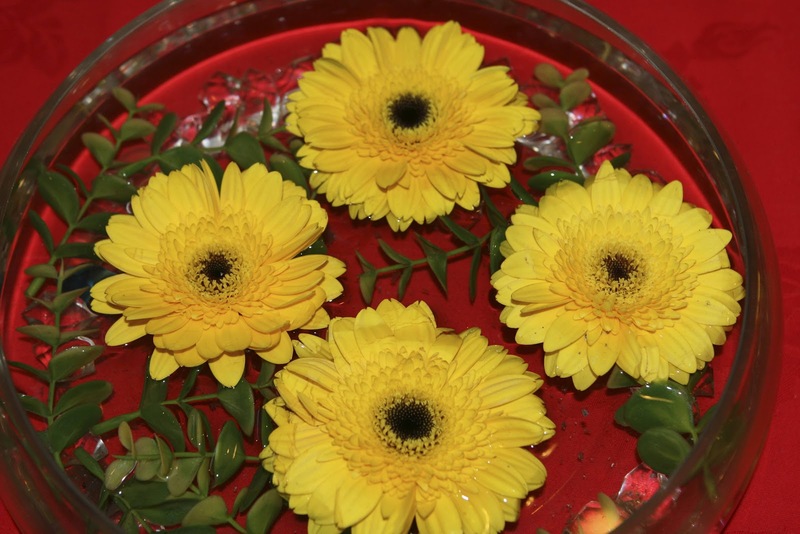 If keeping the floating mandala indoors for more than a few days, make sure you replace water regularly to avoid breeding mosquitoes. 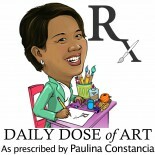 This entry was posted on March 21, 2012 by Paulina Constancia in Connect, Create, Imagine, Teach.